As a wife, it has always been one of my worst nightmares. To be abandoned, your husband declaring that he is no longer in love with you. That he has found another woman. That nightmare is Olga’s reality. Olga and Mario have been married for 15 years and have two children together. They have had bumps in the road before, but it quickly becomes apparent to Olga that Mario is serious this time, and that their marriage is over. Olga is devastated and is unable to process the situation. She begins to neglect her children and she turns in on herself. She becomes obsessed with Mario and his new girlfriend, to the point that it consumes her. It all escalates until one fateful day when Olga completely loses the plot. My heart ached for Olga at first, but as the book wore on, she started to irritate me. I am all for wallowing in self pity, but at some point you have to brush yourself off and get on with life. The neglect of her children was distressing, especially once her son got sick. I really started to question whether the children were in danger with their mother. At one point, Olga’s seven year old daughter is acting like more of an adult than Olga herself. I wish that I had not read this for Dewey’s readathon. Although it is a short book, it deserves to be savored. There is a lot to take in and I think I would have had a more fulfilling experience had I been able to take my time with this one. Instead, I was a little too rushed and I am only now getting a chance to dissect The Days of Abandonment as I am writing this review. Despite that, I still enjoyed the novel and thought it was disturbing in a good way. I received a copy of this book from the ever generous Care at Care’s Online Book Club. Thank you Care! Louise lost her mother at a very young age. She is now in her twenties and is in search for the man who she believes to be responsible for her mother’s death. Nicholas and Louise’s mother met during the 80s when they worked together at a school. Also working there was Lydia’s husband, who is a bit socially awkward but is very much enamored with his wife. Lydia and Nicholas soon embark on an affair that completely engulfs the two of them and threatens to destroy those around them. Eventually the two must make a decision as to whether they forge ahead as a couple and leave their respective families or cut ties completely and move on. Neither choice is optimal and the two are at a loss as to what to do. Years later, Louise adopts her mother’s name and starts trying to infiltrate Nicholas’s life. She holds him completely responsible for the death of her mother, and as such, she abhors him. As she gets deeper and deeper though, she begins to understand that circumstances are not as cut and dry as she had assumed. The Art of Losing was absolutely fantastic. Adultery is such a tough pill to swallow, and Connell was able to show that. It was easy at first to judge Nicholas and Lydia but as their affair wore on, they became almost helpless, and probably just as miserable as their respective partners. While that certainly doesn’t absolve them of their actions, it made them human. Likewise, Louise was quick to judge Nicholas but she started to realize that the relationship between her parents and the separate relationships they had were unknown to her in the way that those relationships are between parents and children. A good book is one that makes you think long after you put it down. The Art of Losing gave me a lot to digest and the character and their actions were such that I could never completely “choose” a side. The Art of Losing will certainly make it to my Best of list for 2011. It counts towards the Europa Challenge. I purchased this book from Barnes & Noble. The RIP challenge (hosted by Carl at Stainless Steel Droppings) is near and dear to my heart. I will be the first to admit, I have lousy luck with challenges. There are just not enough hours in the day to read all the books I would love to read, so often I have other obligations as far as my reading goes, ensuring that the challenge books fall by the wayside. Either that, or I just lose interest. There is one reading challenge that I always participate in though, and that is the RIP challenge. Fall could be my favorite season of the year, and I love settling into the season by reading spooky books. 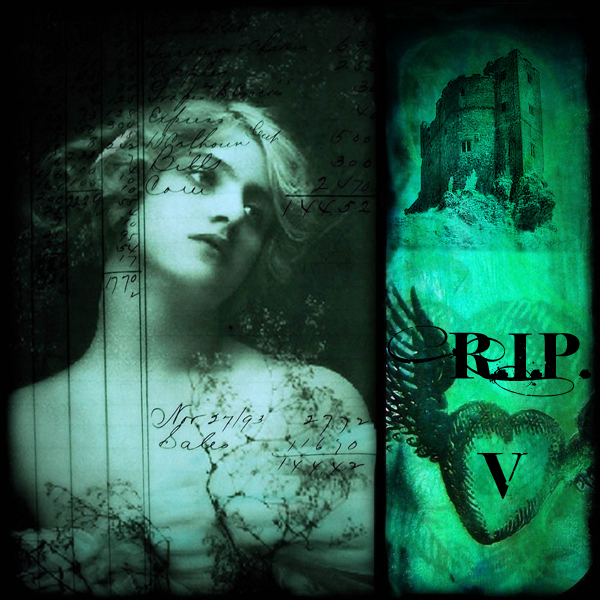 There are three basic levels to RIP VI and I am going for the highest one, Peril in the First. 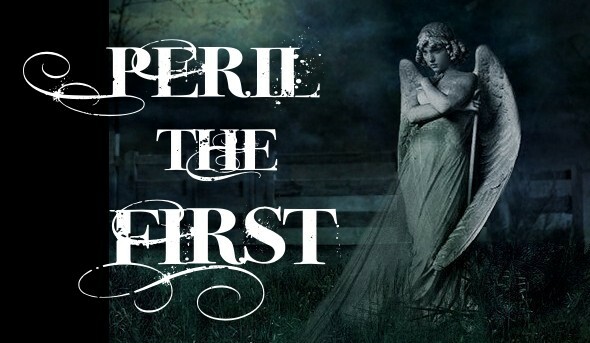 I am obligating myself to read at least four books for this challenge, although let’s be honest–I usually read more than that because I am a glutton for spooky reads in the fall. I have compiled by list for this year’s RIP, although this pile is not all inclusive. I have some books on my kindle that I will probably include plus it is always possible I will acquire new books! An Instance of the Fingerpost, Iain Pears: I have wanted to read something by Pears for awhile. I found this one at a used booksale and picked it up. The Angel of Darkness and The Alienist, Caleb Carr: I have heard great things about the latter, and it would probably be the one I would read first. The Witch’s Trinity, Erika Mailman: I bought this one on clearance a few years back and figured it would be a great choice for the challenge. Bad Things Happen, Harry Dolan: I have wanted to read this since it first came out and now the 2nd book in the series has been released! Shadow of the Wind, Carlos Ruiz Zafron: It is time I read something by this author. There is just no excuse! Miss Peregrine’s Home for Peculiar Children, Ransom Riggs: I am so excited for this one! The Poison Tree, Erin Kelly: My cousin just finished this one and loved it, so that definitely inspired me to add it to the pile. A Discovery of Witches, Deborah Harkness: I don’t know much about this book, but I had it on my shelf and figured it would be a good inclusion. Have you read any of the books on my list?! If so, I am dying to know your thoughts! 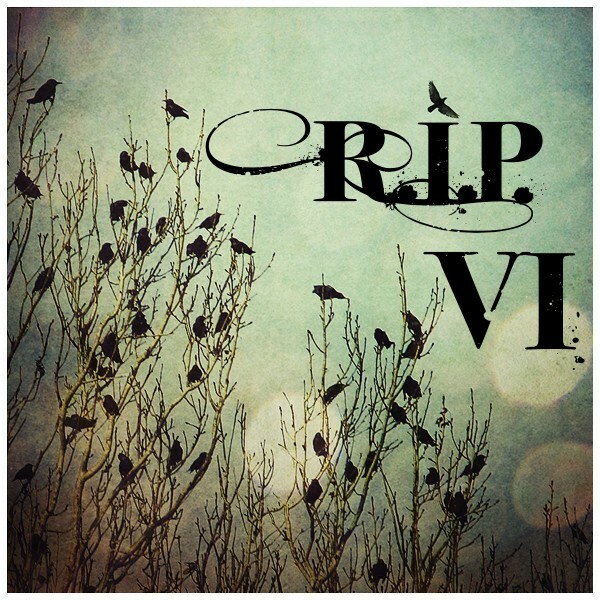 What books do you have on your list for this year’s RIP? I think that as I have been blogging longer and longer, reading challenges have become less important to me. When I first began blogging, I was all about participating in challenges, both for the camaraderie and the fun of reading something new. After almost two years of book blogging though, challenges seem more like a burden than anything else. I already have enough obligations with my reading, so from this point on, my participation in reading challenges will be very limited. I went ahead and deleted Current Challenges page and Completed Challenges page to try and alleviate the pressure. In fact, the only challenge I plan on participating in at this time is the Europa Editions challenge, along with possibly (most likely!) the RIP challenge later this year. I am always on the hunt for Europa books, and I have quite a few on my shelves that I haven’t read yet, so this challenge is a win-win for me. The challenge runs from July 1, 2011-December 31, 2011 and has a myriad of levels. A Passport Holder, by choosing books from different countries or original languages. Edwin M. Yoder Jr., Lions at Lamb House. You can do the speciality challenges towards any of the Ami/Haver/Amante levels. If anything, I plan to do the Ami level, which is to read 4 Europas by the end of the year. I may read more than 4, I may read less. That remains to be seen. I am very excited though as Europa Editions is one of my favorite imprints! Signing up for challenges is one of my favorite parts of the year. It’s sad really, because my eyes are always bigger than my stomach, so to speak. I don’t want to have to drop a bunch of challenges mid year, so I tried to be really careful about only choosing challenges that I would actually (theoretically) complete. 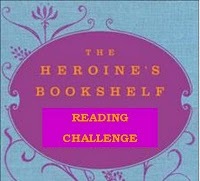 I have been wanting to read The Heroine’s Bookshelf for awhile now, so when I saw a challenge based on the book, I knew I had to join! 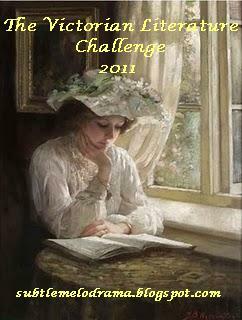 This challenge runs from 1/1/11-12/31/11 and is hosted by Bibliophibian. 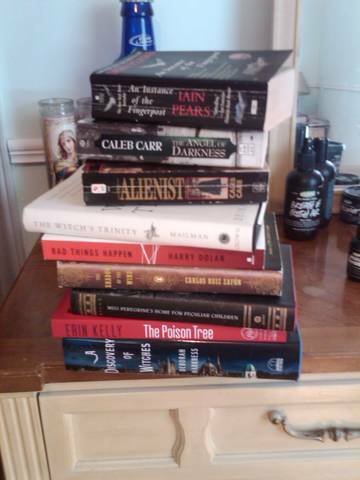 As for a reading list, I don’t have one at the moment. Once I get my hot little hands on the book, I will have a better idea! 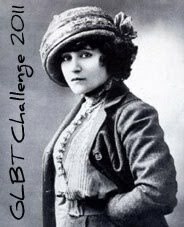 The GLBT challenge is hosted by Amanda at The Zen Leaf. This will be my second year joining in on this challenge, which runs 1/11/11-12/31/11 and I wouldn’t dream of not joining in, as I have been very successful with this challenge during 2010. I don’t really have a list for this challenge either. Boring, I know. It’s always fun reading other people’s lists. The reason I am not doing one with this challenge is because it was a lot of fun for me while participating in this particular challenge this year to just go with the flow. I do, however, want to read the Collette books by Claudine. So, pray tell, which challenges are you joining for 2011? YA coming of age novels are my kryptonite. As much as I would not want to go back to those angst riddled years myself, I have no qualms about reading about others going through it. Lesbian coming of age stories are not as easy to come by though, so Annie on my Mind was new to me in that sense. Liza Winthrop is a high school senior at a small, private school in Brooklyn Heights when she meets fellow teenager Annie Kenyon at the Metropolitan Museum or Art. Both girls are visiting the museum on their own and the quickly strike up a friendship. As teenage girls are wont to do, they become close, fast. 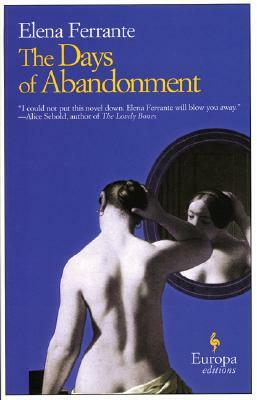 Liza, the narrator, confuses her feelings for Annie at first as just being friendly, but both girls realize that they have developed romantic, sexual feelings for one another. Annie has suspected before that she was a lesbian, but the concept of being attracted to girls is new for Liza and she is terrified of acting on her feelings. As the relationship grows between Annie and Liza, their reactions become more raw and believable. I have never been in the situation in which they were faced, but I could completely understand the tug of rope they were playing between what was accepted and expected of them and what their heart’s desired. Eventually, one day, they are caught in a compromising situation and the ramifications of their sexual orientations comes into play. First off, can I just say, heterosexual, homosexual, bisexual—whatever, the “situation” they were caught in made me so embarrassed for them. I think that is a testament to how well the book was written, because I was literally cringing as I read it. I would have been absolutely mortified had it happened to me, and it is not often that I will have such a reaction to a book. It is, after all, fiction and there are countless times where something happens to a character that is shameful or embarrassing. It just doesn’t usually give me the visceral reaction that I had to this particular instance. The book takes place in the early eighties, so I would hope that the social climate would be more tolerant now. Liza’s school, Foster Academy , takes action against her once they find out about her proclivities, and she is forced to go in front of the school board to defend herself. Yes, I am serious! The “situation” that I mentioned before that was so embarrassing—well, imagine now recounting it in detail before the adults on your school board. I can’t even fathom how Liza was able to hold it together. The edition of the book I had included a question and answer section with the author in the back. Once I finished the book, I was not surprised that Garden is a lesbian. The portrayal of the blossoming romance and Liza’s realization that she is a lesbian was so tangible to me that I couldn’t imagine that it had not been written by someone who had not gone through it herself. 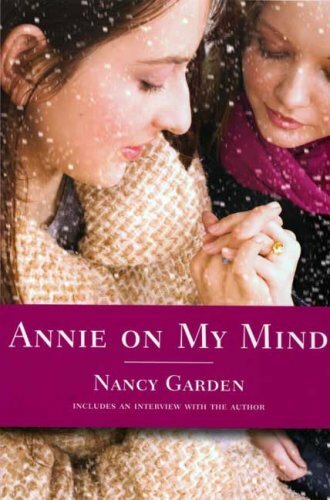 Annie on my Mind mentions a lot of lesbian fiction, none of which I have read, and Garden explained that her purpose in writing the book was so that girls in her situation would have a literary resource to turn to. I think that she accomplished what she set out to do in that aspect. I was a little worried that the book would be a bit dated, being almost thirty years since it was written, but I was pleasantly surprised. I think Garden did a wonderful job creating a timeless book and I think it is a great book for teenagers of today to read, whether they are questioning their own sexuality or just to show them how imperative tolerance is. This book counts towards the GLBT challenge. Eliza Benedict is your typical suburban housewife. She and her husband have just relocated and they live very comfortably with their teenage daughter Iso and son Albie. Eliza’s been keeping a secret from pretty much everyone though, including her children. When she was only 15 years old, and known at the time as Elizabeth Lerner, Eliza was kidnapped and held captive by a serial killer named Walter Bowman. Walt stumbled upon her one day and kidnapped her, as was his MO. The only difference was that he always killed his victims, but for some reason he let Eliza live. Walt has now been on Death Row for decades and Eliza rarely thinks about him. She has her own life and who she was at fifteen and what happened to her has faded into the background. Until, one day, she is contacted by Walt. He wants to speak with Eliza and although she has tried to bury the memories of that summer, she is seriously considering speaking with Walt and even meeting him. I can’t even explain to you how much I enjoy Lippman’s books. Besides this one, I have read What the Dead Know, and while they aren’t the classics by any means, they are such well woven psychological mysteries that I found myself on the edge of my seat, unable to put either one down! 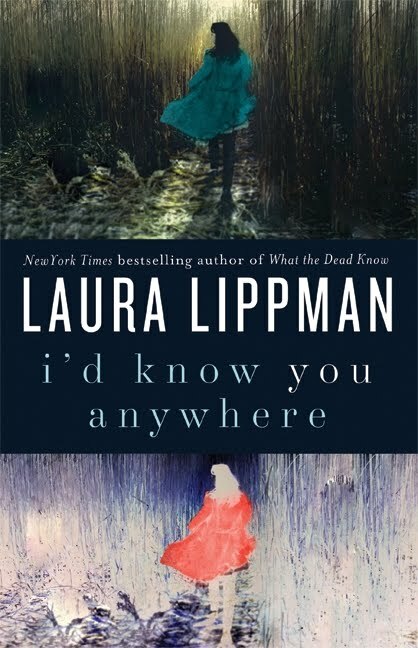 I would definitey ancourage anyone not familair with Lippman to try out one of her books. I purchased this book from a local bookseller, The Book Loft. This book counts towards the RIP challenge.